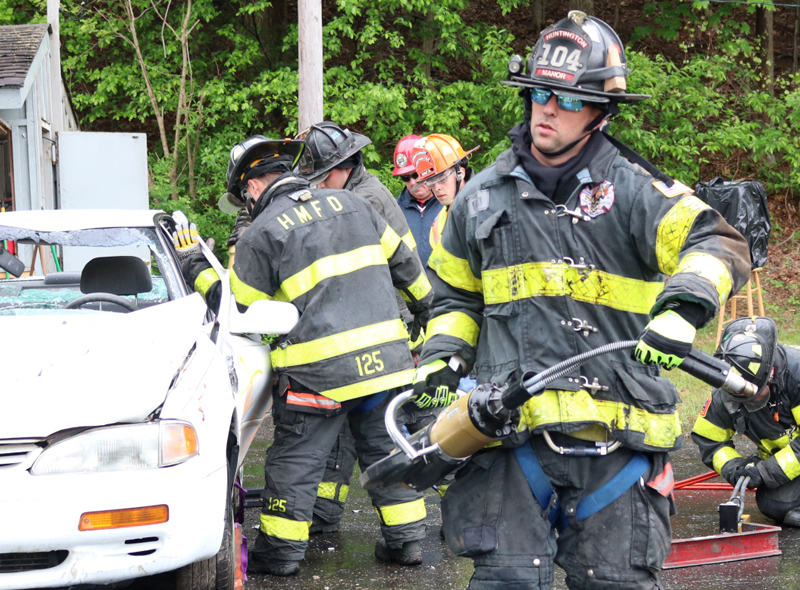 On Saturday, May 12th, 2018 at 9AM, volunteer firefighters from all over Long Island gathered for camaraderie and competition during the 11th Annual Chuck Varese jaws of life tournament at the Northport Fire Department Fair Grounds. 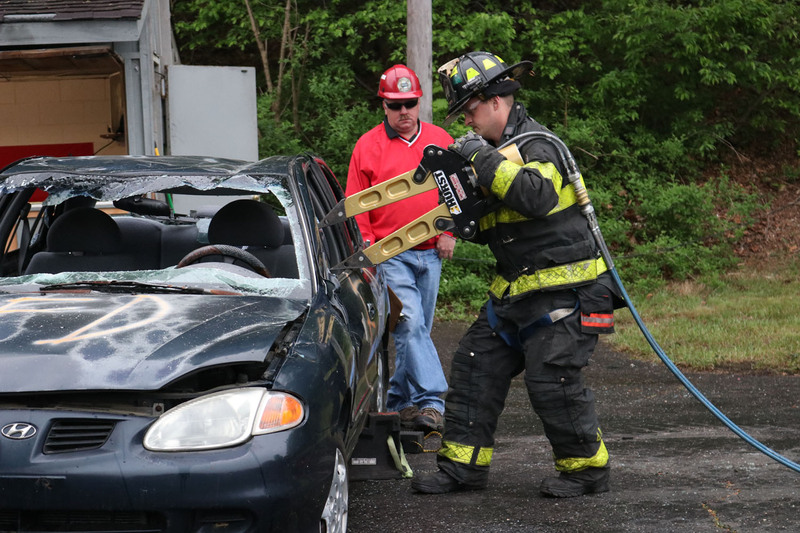 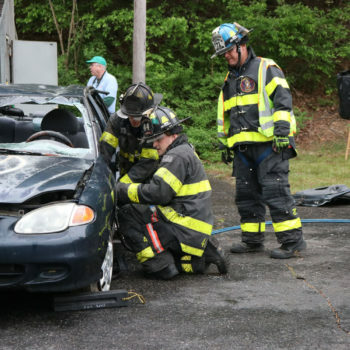 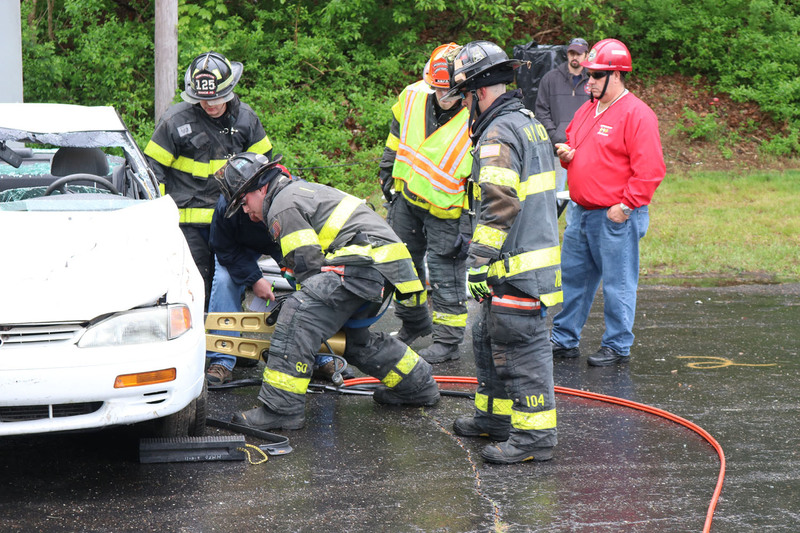 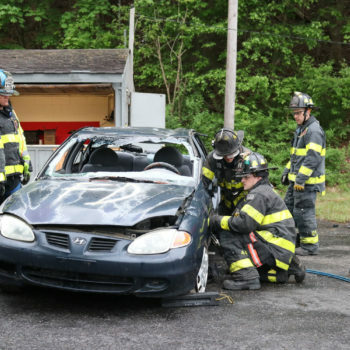 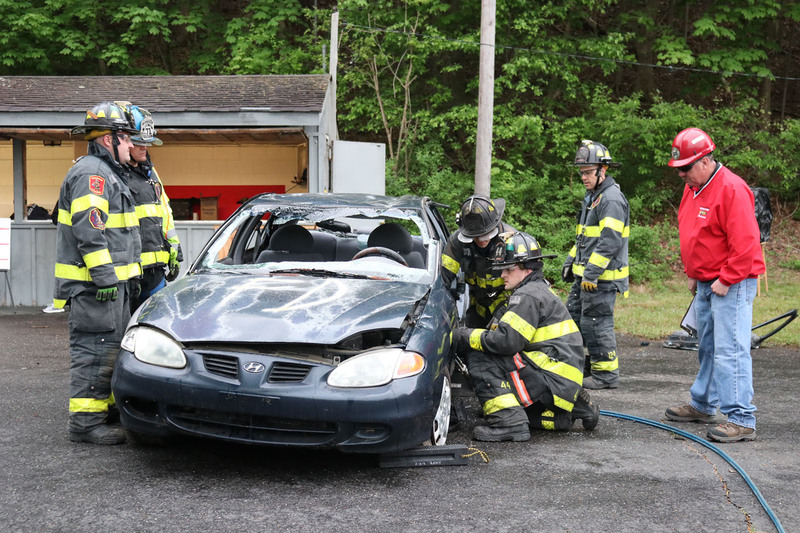 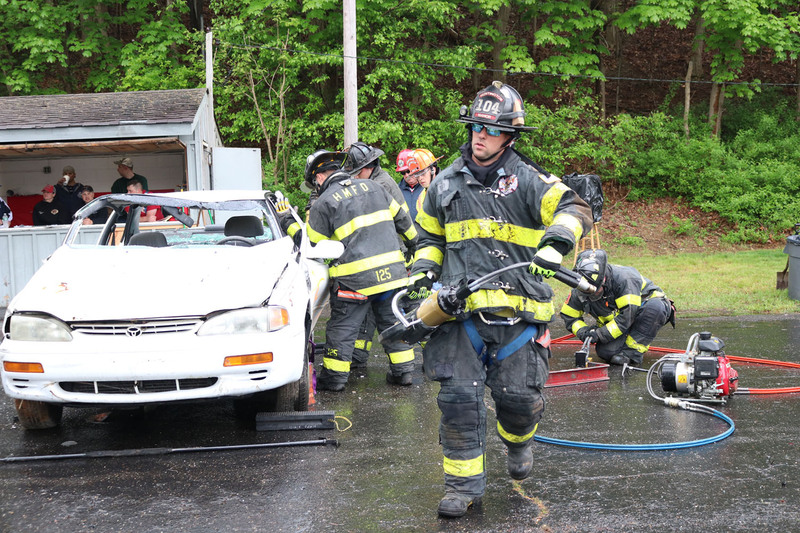 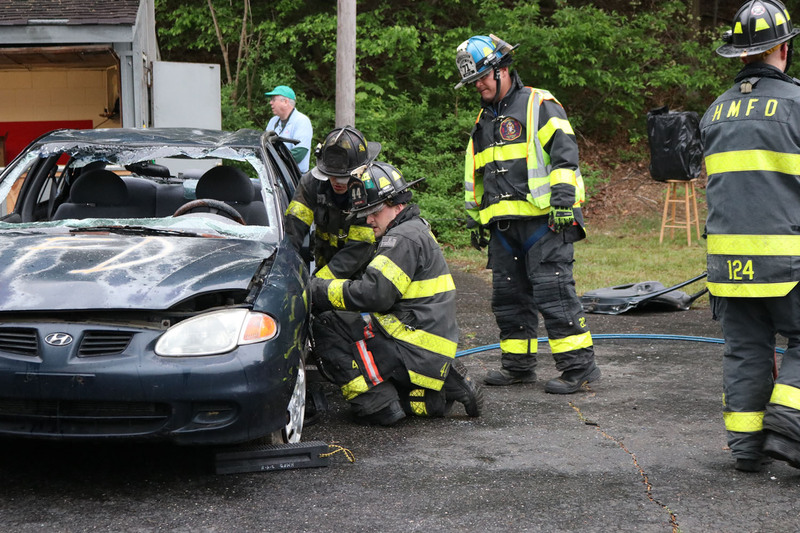 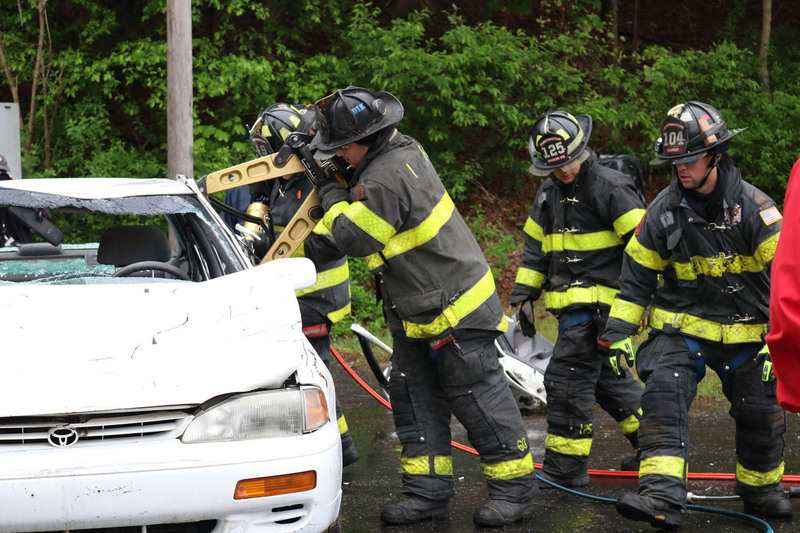 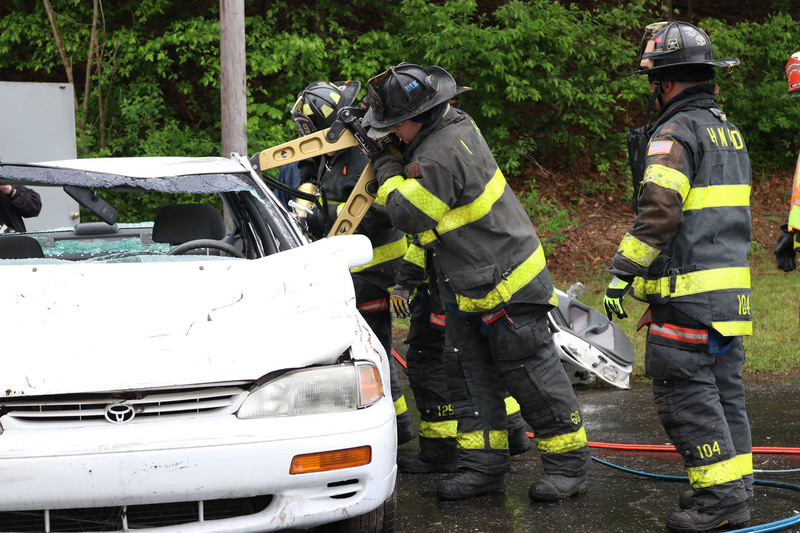 Firefighters, dressed in full gear, tore their way through dozens of cars in this competition that was designed to build and strengthen relationships between fire department first-responders. 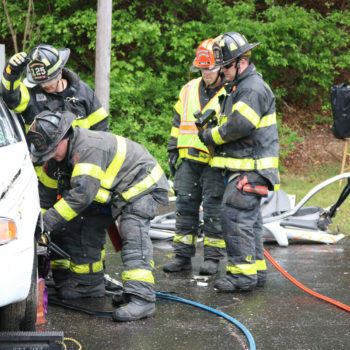 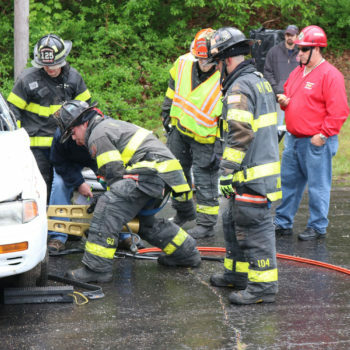 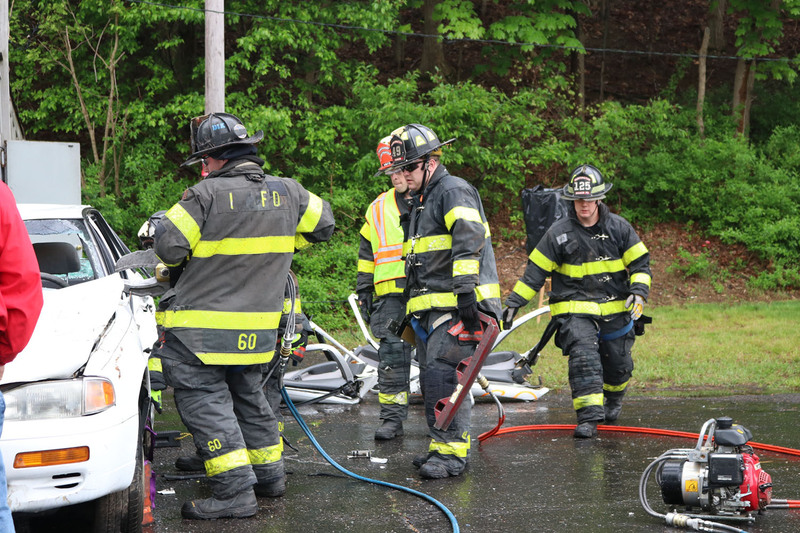 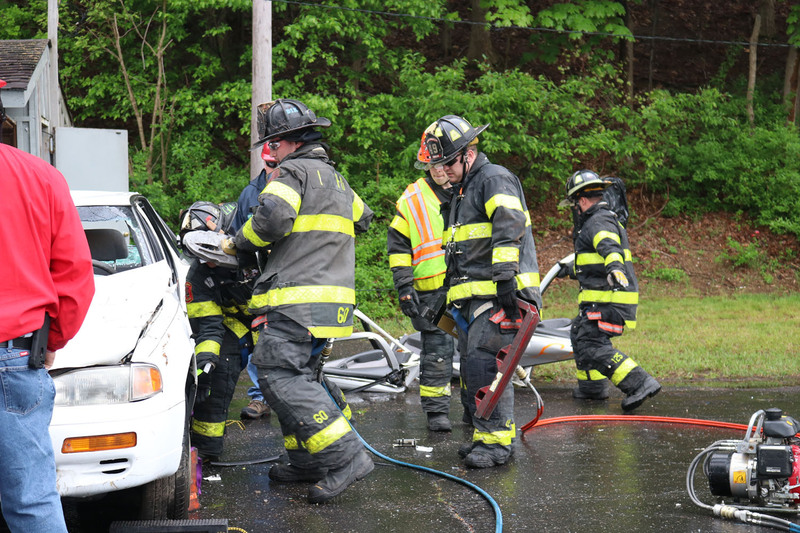 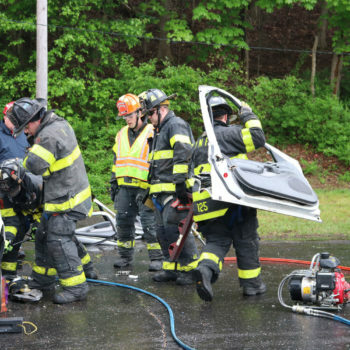 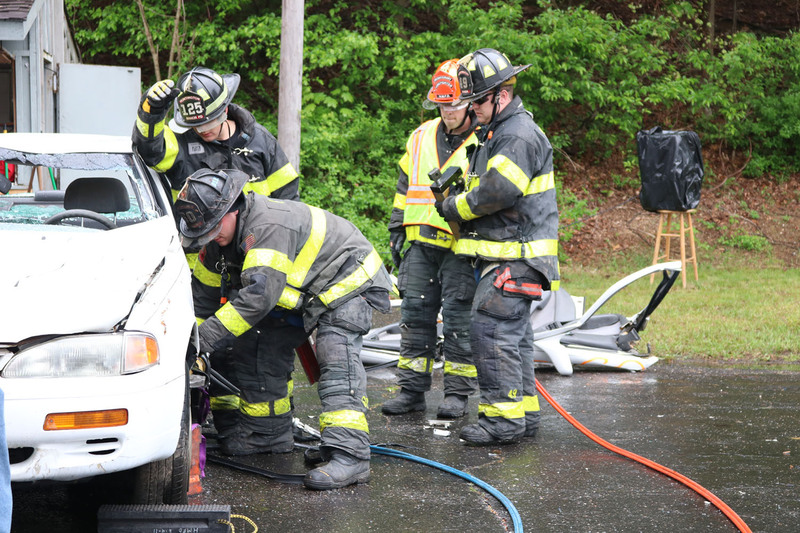 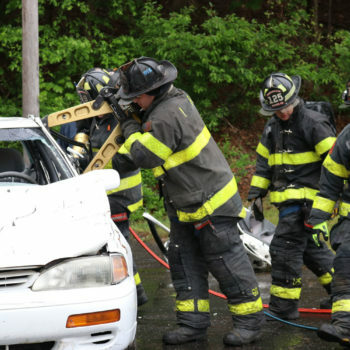 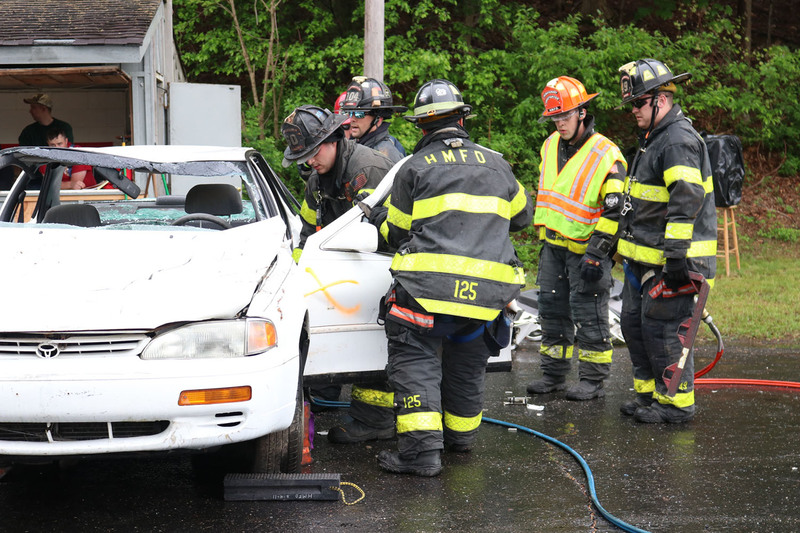 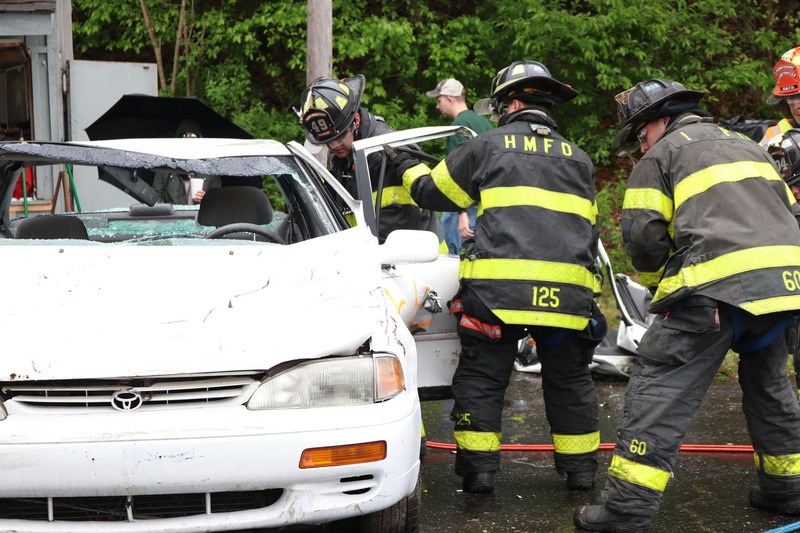 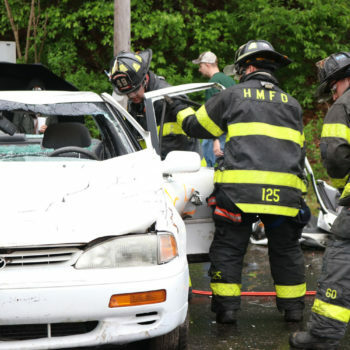 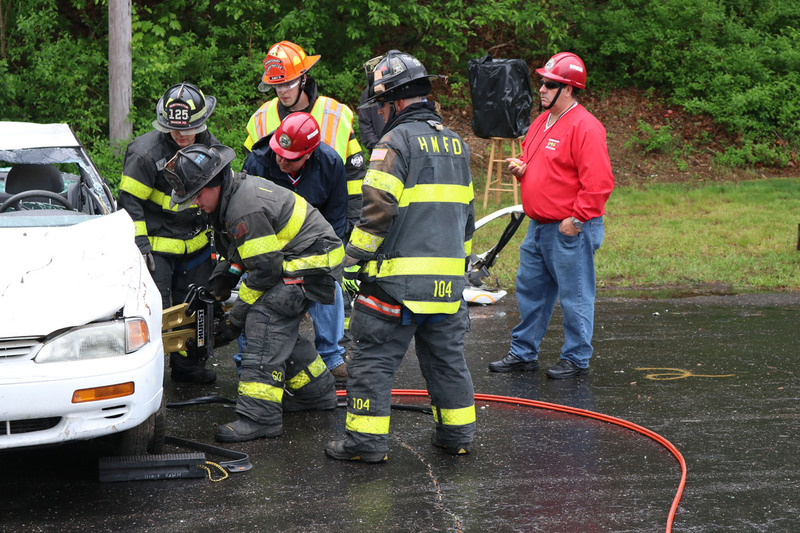 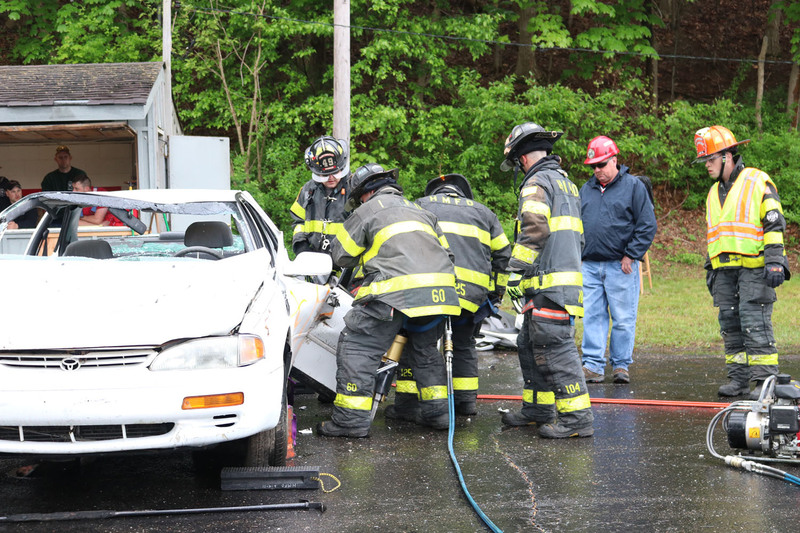 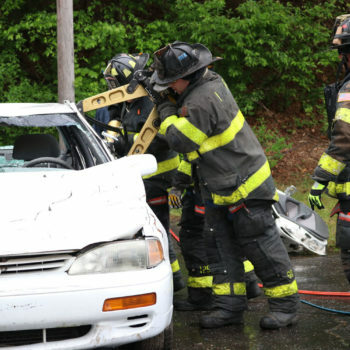 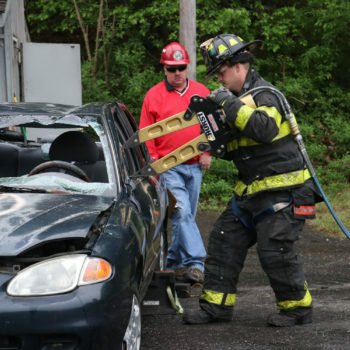 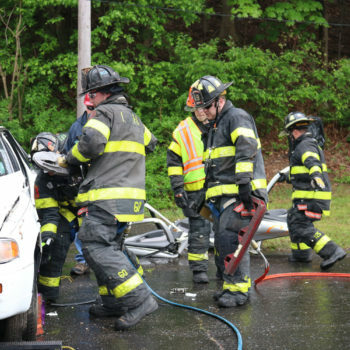 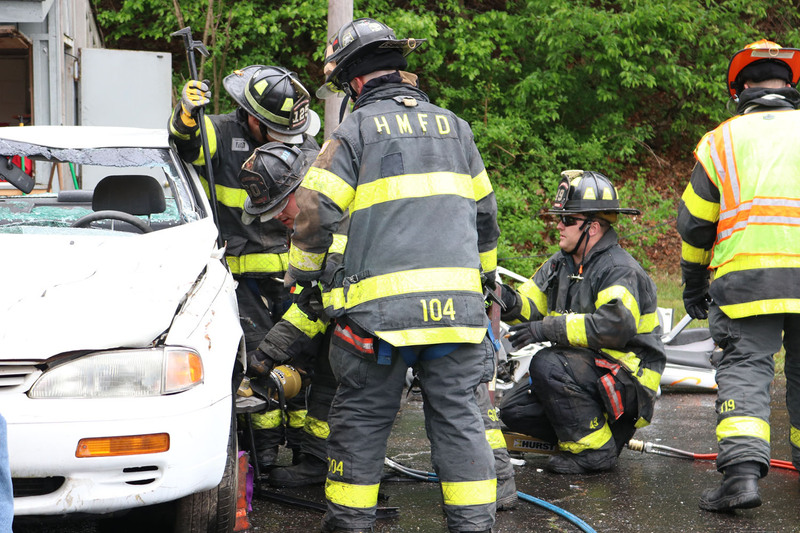 The tournament also empowers participants to practice and share time-saving auto extrication techniques that are capable of preserving lives during real-life car wreck scenarios. 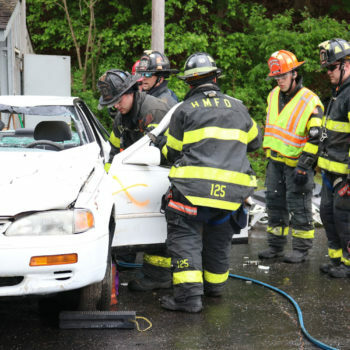 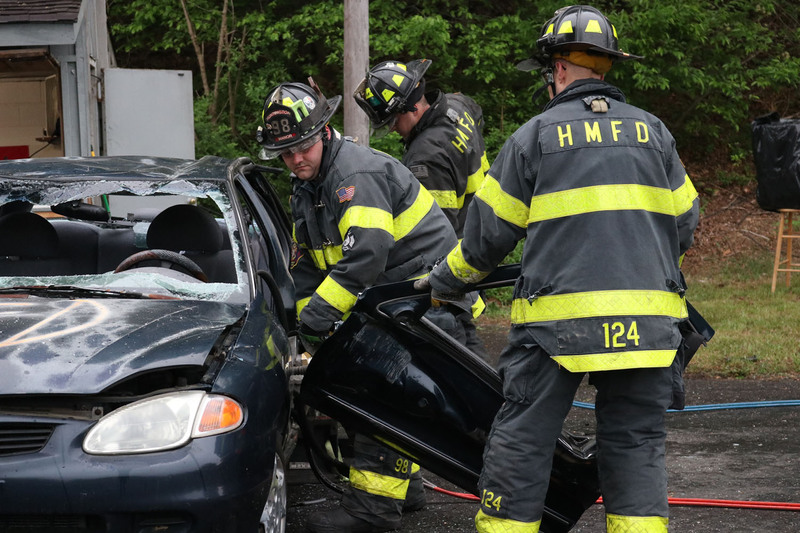 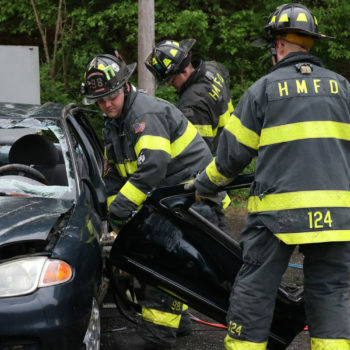 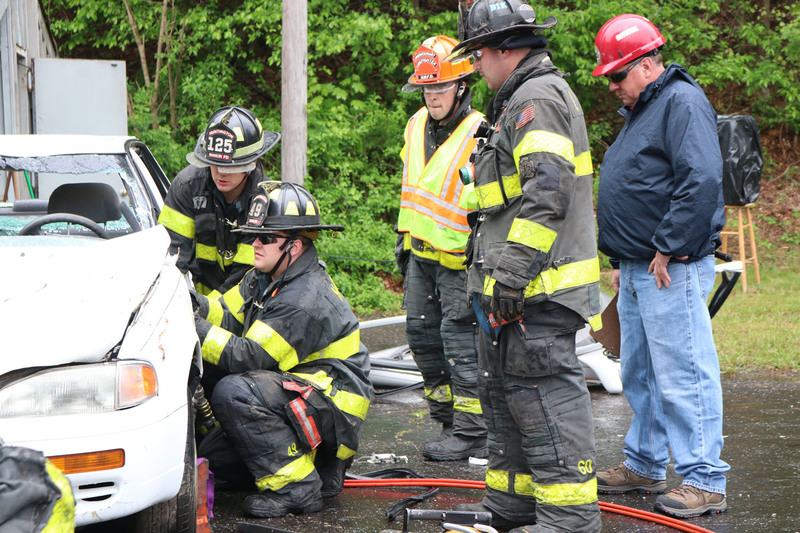 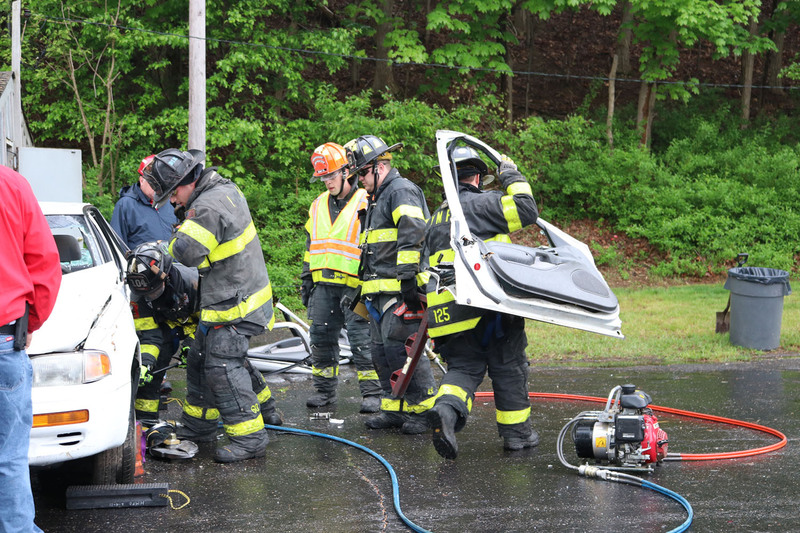 Teams are judged on various factors, including the amount of time it takes them to perform the extrication, the handling of equipment, and the following of safety procedures during the process. 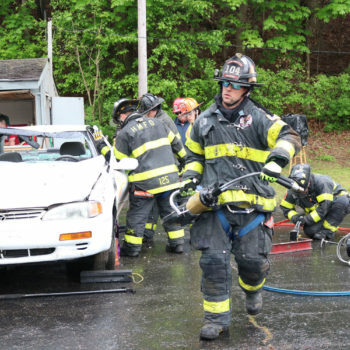 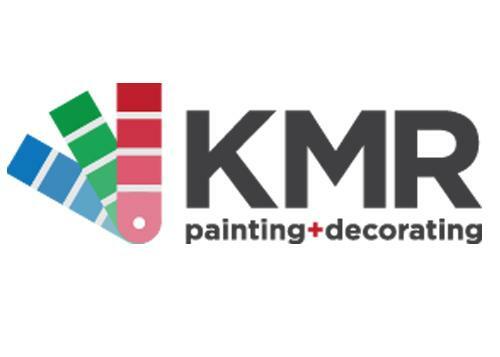 The competition is named after the son of former Northport Fire Chief Robert "Beefy" Varese, who (along with the Northport Volunteer Fire Department) organizes and hosts the event. 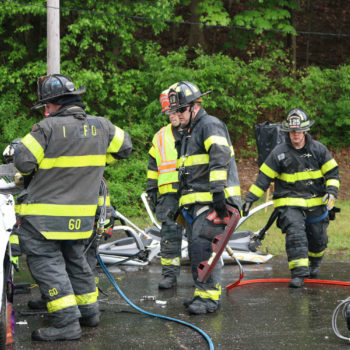 Chuck Varese was a member of the Northport Fire Dept who was tragically struck and killed by an intoxicated motorist on Route 25A in Centerport in 2008. 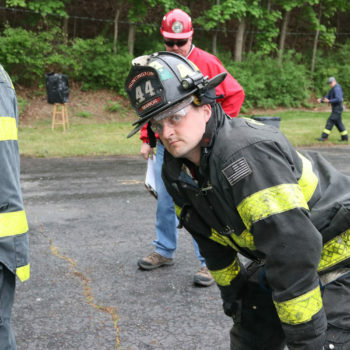 This annual tournament in his memory strengthens the skills used by firefighters to save lives - and also increases interest levels by those who may be interested in learning more about what firefighters do, or may even be thinking about joining a local fire department. 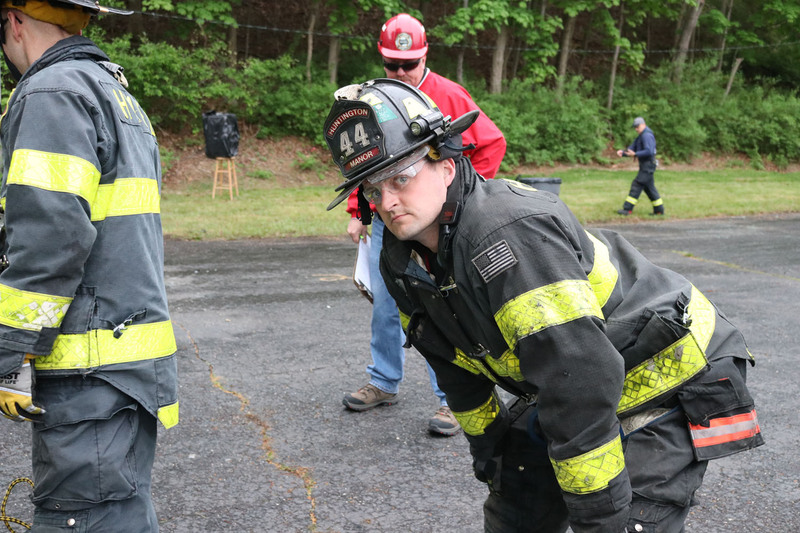 Living Huntington photographer Tisa Cassidy was on hand during the event, and managed to capture these images of Huntington Manor Fire Department participants as they tackled the timed challenge. 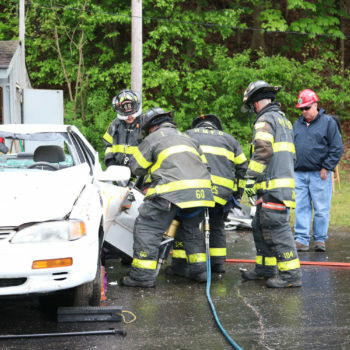 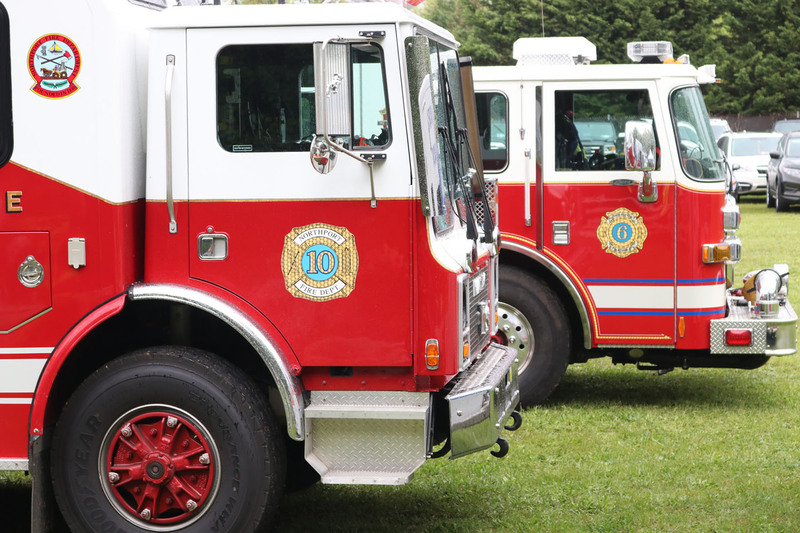 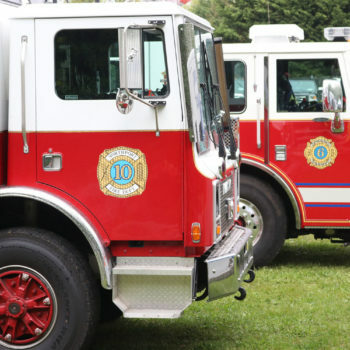 Click here to learn more about the Northport Volunteer Fire Department! 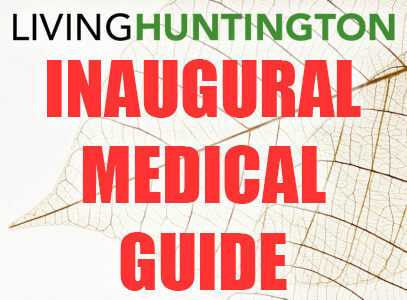 Don’t miss out on the next issue of Living Huntington! 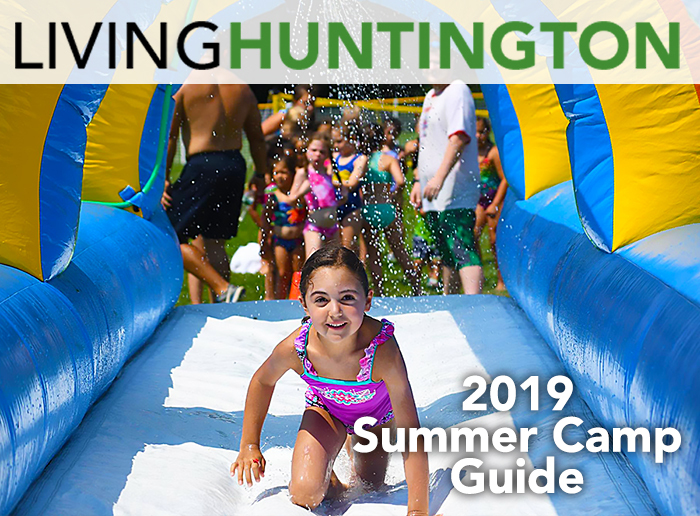 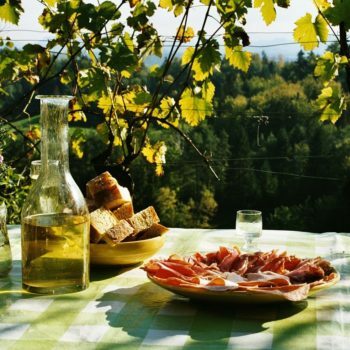 Owned and operated locally - Living Huntington is a new type of digital community destination, dedicated to using the latest technology to explore exciting recreation, dining, arts and business options - PLUS the absolute BEST OFFERS in and around Huntington, New York. 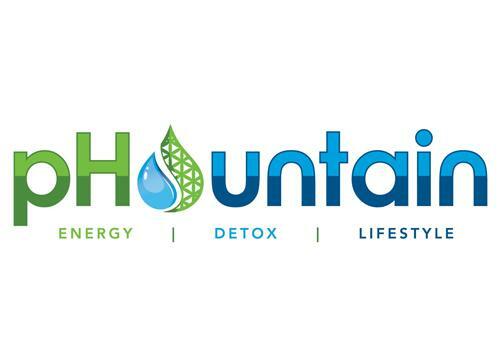 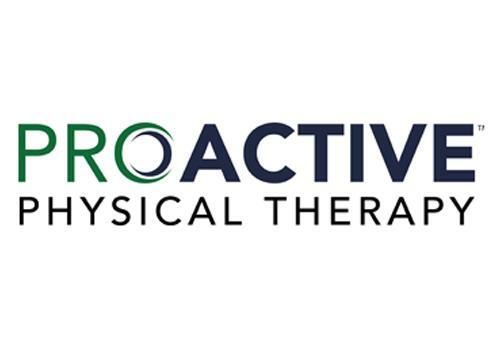 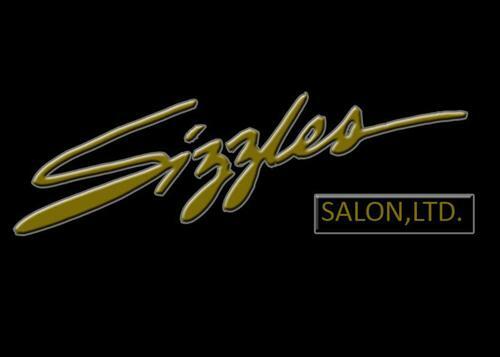 © 2015 Living Huntington Inc. All Rights Reserved.